My wife and I recently purchased a new family sedan, so after 17 years of faithful service, I sold my trusty ol’ Mazda MX3, which had 215,724 miles on it. I must admit I got a little emotional realizing I’d be selling her. 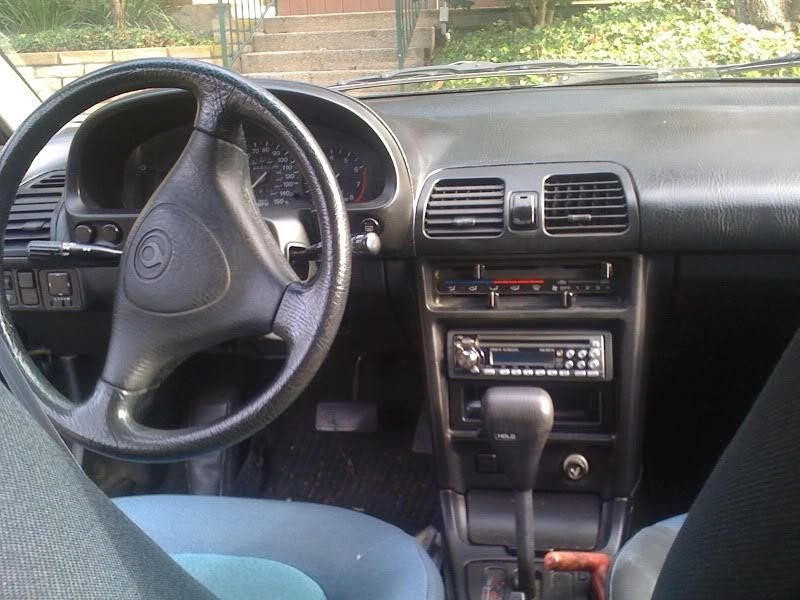 My first car was an ‘80s Toyota Tercel, a second family car that I received after graduating from college. 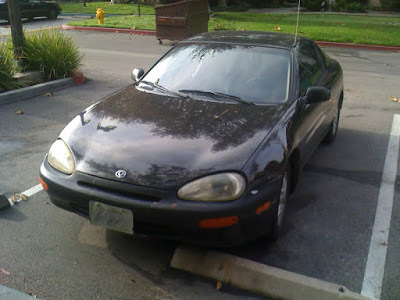 I ran up that brick-red Tercel to 93,000 miles, but the MX3 was the first car I purchased on my own, in 1993. 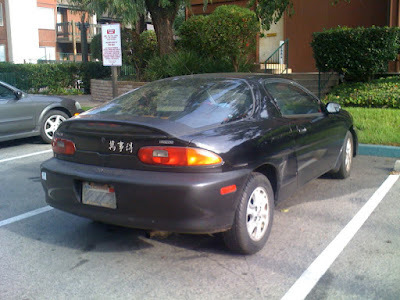 I initially got acquainted with the MX3 the year before when my then-girlfriend/now-wife drove it to Tahoe as a rental for a ski trip. I enjoyed the vehicle so much that I bought it the following year when I decided to upgrade. 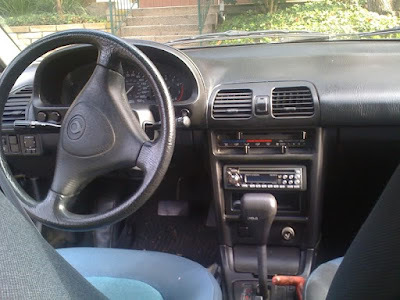 When my wife and I were expecting our first child in 2001, we purchased a Subaru Forester as our family car—the MX3 was a 4-seater, so once the kids were large enough to sit up in a booster, on the fly it served fine as a backup family car for short trips. But with the kids getting older and all our cars getting up in miles, it was clear we needed a new family car to supplement the Forester, and it was better to get it sooner than later given the current buyer’s market for cars and record low loan rates, rather than wait for the MX3 to give out on us and be forced to scramble. Anyway, I sold her on Craigslist. On paper the Blue Book value was not very much (one site stated that a dealer would pay $57 for the car based on age and condition), but I saw estimates for private sales as high as $700 – $1000. But after seeing the surprisingly crappy condition of many of the cars being offered on Craigslist, I realized my sporty-looking MX3 might look pretty appealing to some buyers and offered it for more than the $400–500 I initially planned. As noted in the pictures accompanying this blog which I used for the ad, I tried my best to make her as appealing as possible. Indeed, within 20 minutes of posting it, I started getting flooded by emails expressing interest in the car. I probably could have made a bit more than I did, but ultimately I’m glad I found a good home for her. The guy who called me about the car told me emphatically, “I want that car!” then drove 80 miles to see it, handing me the money before he even test drove it. 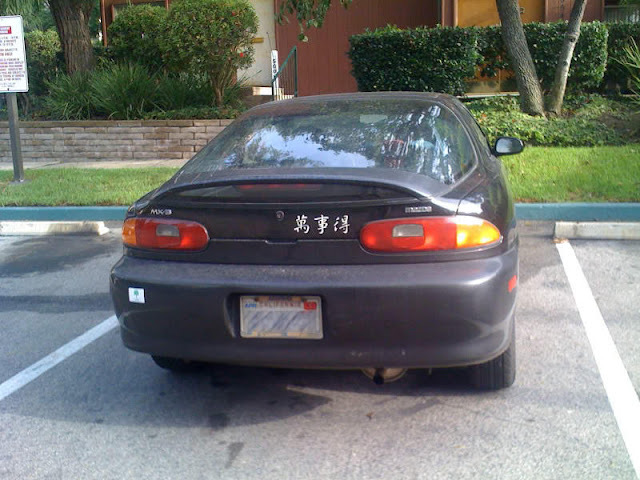 Apparently, he had a buddy who had purchased a ‘92 MX3 recently for $7000—though that car had been obviously souped up. In any case, I’m glad I found a good home for it, with someone who’ll appreciate it. 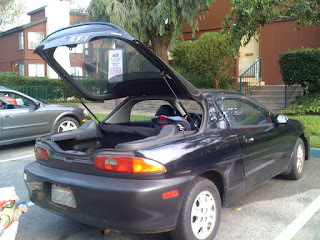 Black 1993 2-door Mazda MX3 w/black and teal cloth interior in good-to-fair condition for sale by original owner. Just over 212,700 miles. Very sporty, cleans up well (see photos and link below for more photos). Runs great, engine is in solid working condition (transmission was rebuilt in 2004), oil changed regularly, just passed smog check—have nearly all maintenance records/repair receipts on file. Power windows and locks, power seat belts, AC, alloy wheels (w/wheel locks), added CD/radio with removable faceplate, all in good working condition. Back seats go down creating large open cargo space. l have purchased a new car and am looking for a new owner who will give a vehicle that has served me well a new home. 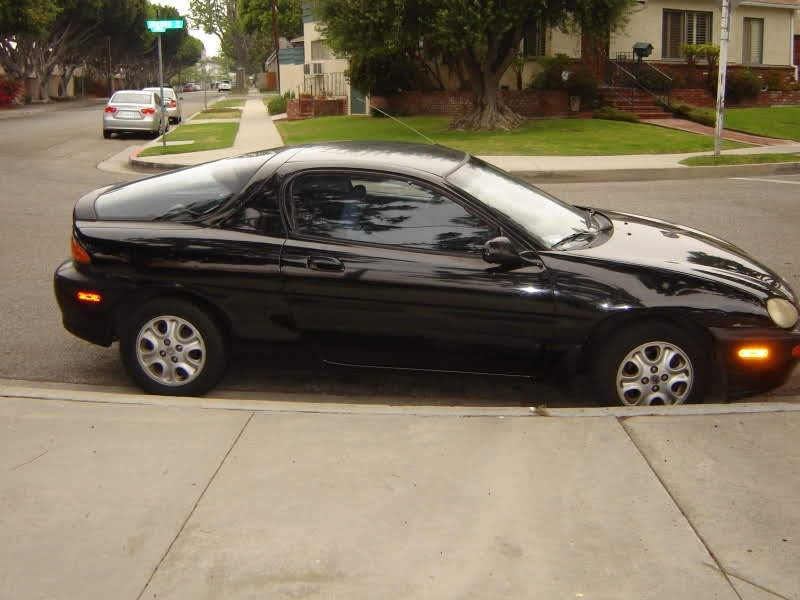 This vehicle is in great working order, fun to drive, and looks good. Some minor scratches and dents from 17 years of use, but otherwise this car has never experienced any major damage. 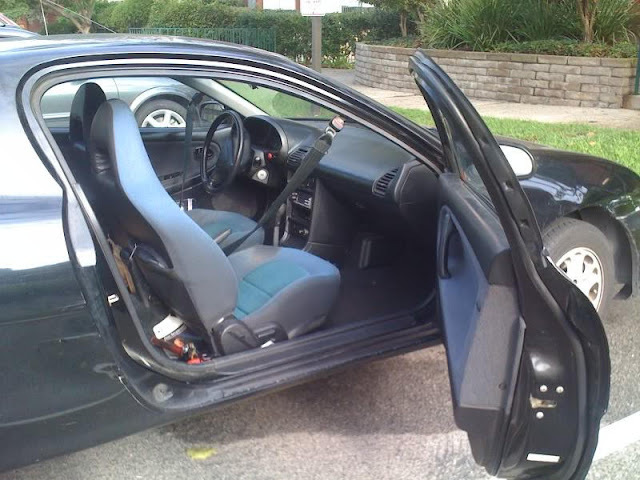 Some tears in the upholstery due to normal wear and tear over the years. Cargo cover also beyond repair (I have it but don't use it). Minor bug with seatbelt light occasionally going on even when seatbelt is engaged. As I do periodically, I Googled myself recently to see if there has been any recent coverage of Rob Hanes Adventures and came across a couple of very nice pieces. The first is this comprehensive overview and review of the series by Greg Burgas, a reviewer at Comic Book Resources. Burgas picked up the entire run of the series at the last San Diego Comic-Con, and wrote this very thoughtful piece that discussed in great depth the characters, story arcs, progression of art over the years, portrayal of female characters, etc. It's nice to see many of the elements I have tried hard to infuse in the series picked up by Burgas in his article. The second is an interview with me by Newsarama contributor Zack Smith. I recall being interviewed by Smith via email awhile back but had forgotten about it until I came across the website in my Google search. My thanks to both Burgas and Smith for their nice pieces. 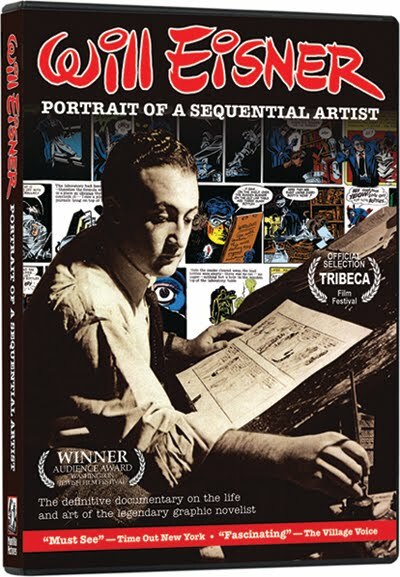 A documentary on comics legend Will Eisner, titled Will Eisner: Portrait of a Sequential Artist, is now available. Several years ago at the San Diego Comic-Con, I attended a panel about the project that featured an extended preview of the documentary. The promotional trailer was also being used to raise funding for the project's completion. After making the rounds of the fllm festival circuit this past year—including the Tribeca Film Festival—I recently learned the film is now on DVD and ordered a copy. Eisner’s biography is now fairly well known, but anyone wishing to gain greater personal insight and personal knowledge about the artist and his work will enjoy this high quality documentary. The film covers all aspects of his personal biography, including his immigrant roots; his founding of what is considered the first comic-book “sweatshop” in the 1930s, which underscored his business acumen even at an early age; his launch of the syndicated Spirit comic-book newspaper insert; his sojourn from the mainstream comics industry to found a company that produced comics for educational (and commercial) purposes; and his return to the industry in the 1970s with the re-discovery of the Spirit and, more importantly, a new phase of his career when he began focusing on “graphic novels,” many of which were autobiographical in nature and explored his Jewish identity. The documentary does a good job of recreating the environment that produced Eisner—it’s been well documented how comics were almost solely the brainchild of Jewish immigrant kids primarily from the ghettos of New York City. The documentary, of course, also builds on Eisner’s legacy as one of the most innovative comic-book storytellers of his time, and touches a little on the personal tragedy that was not known until after his death that drove his first graphic novel, A Contract With God, which is considered among the first such books of its kind. What is particularly striking about the film is the amount of home movie material that makes its way into the story, some dating back to the 1940s! The film includes interviews with many of Eisner’s colleagues in the industry, as well as a few nice surprises like Kurt Vonnegut. The documentary also provides me with an opportunity to mention Eisner’s authorized biography, Will Eisner: A Spirited Life, by Bob Andelman. This book, which I read back in 2005, is among the first (and best) “serious” biographies of a cartoonist—”serious” in the sense that it goes beyond mere fan admiration and relies on extensive research, vetting and interviews (including with the artist and his wife). Andelman was given unfettered access to Eisner, and spent a few years with the artist as part of his research. The book appeared in the same year as Eisner’s death in 2005. Andelman’s book was the first to contain details about Eisner’s private life—including the loss of his daughter to leukemia—that even many of his closest friends were unaware of, and which drove the titular story in the above-mentioned A Contract With God. I highly recommend both the documentary and the book.